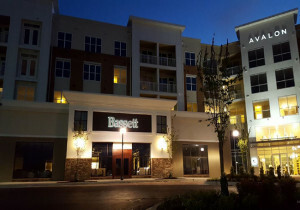 Want to enjoy all the amenities of Hunt Valley Towne Centre on a daily basis? Avalon Hunt Valley, an apartment complex by Avalon Communities, provides everything for luxury living, including modern kitchens, a fitness center with yoga studio, landscaped courtyards, outdoor swimming pool, and pet friendly amenities including a WAG Pet Park and Pet Spa. For more about luxury living at Avalon Hunt Valley, visit www.AvalonHuntValley.com.